Gluten Free Breakfast Cookies and Chocolate cupcakes! This Sunday, My daughter and I spent time together baking her favorite treats. This summer sped by so fast without a chance to bake anything. With grandparents visiting us after a long time, we spend most of our days discovering new places, new foods and meeting old friends My daughter just managed on store brought Gluten free cookies. But they are so expensive and so few in a pack. Home made ones give me better control on the ingredients and we can bake a huge batch to last her at least for a few days. My chocoholic daughter wouldn't leave them around for too long. Both these recipes are from Sarah Bakes website. I love the fact that she uses coconut milk and coconut oil in her recipes. Most of the treats I tried, have been a huge hit at home, even with my gluten free resisting husband. The recipes for breakfast cookies and chocolate cup cakes. Baking together is bonding and learning time for both of us. She loves to measure each ingredient and mix them well. Once cooled, she frost them in her own style too. In fact these are here babies all the way. My only contribution is putting them in the oven. And all through the process, her constant chitter chatter keeps me amused. That's the time when the most unusual stories surface. Her imagination runs wild exploring new recipes we can try or unusual flavors or combos to experiment with. 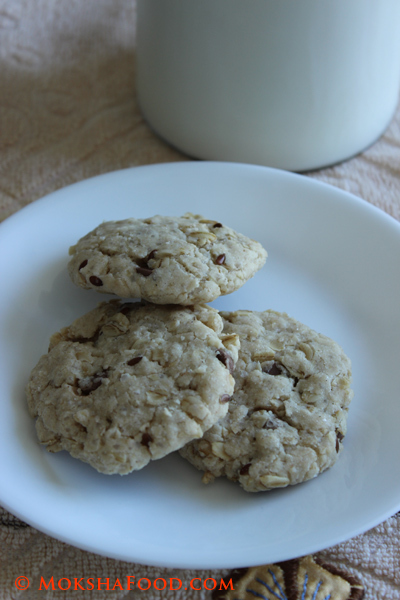 The breakfast cookies are so good and healthy - made with brown rice flour, sorghum, oats and flax seeds. And the addition of chocolate chips makes its irresistible. My only twist to the cookies was I used flax seeds in place of chia seeds. 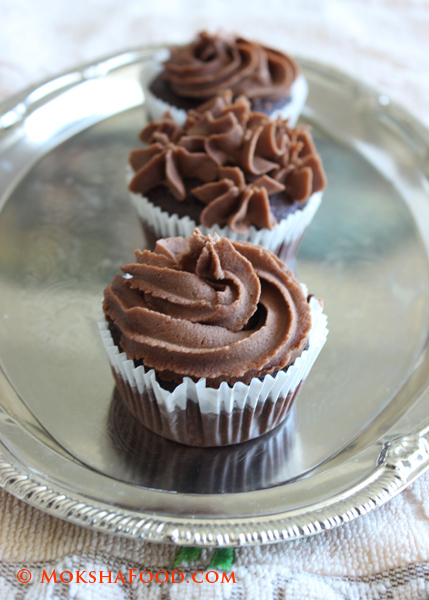 I have made another version of gluten free chocolate cupcakes here.